Blend up your style this season on the Roxy Banana Smoothie women's snowboard. The Banana Smoothie is an all-mountain, freestyle women's snowboard that has a mix of traditional camber and rocker and a true twin shape making this a super chill and diverse ride. Flexing on the medium side creates a controlled board that has a fun side for those days you want to try a new trick or gets into the park. Roxy designed the Banana Smoothie with banana technology which gives the board a jib feel while still being super floaty and forgiving on all types of snow. Mervin Made Eco Construction means the Banana Smoothie was built with wind and water that has generated power in the US. 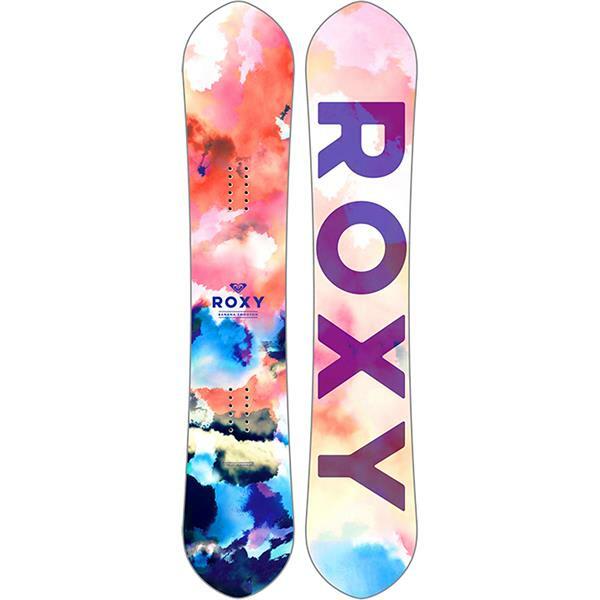 Great for intermediate riders, the Roxy Banana Smoothie women's snowboard will have you wishing you could ride it every single day this year, so step on board and see why ladies love the Roxy Banana Smoothie snowboard.